I Highly recommend!! They have gone above and beyond for me...very understanding folks!! Very professional and committed to ensuring their customers are happy. Thank you for the review! We appreciate your business, and hope to work with you again soon. 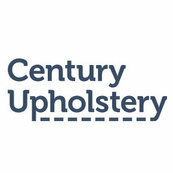 Have been working with Century for many years with all of my upholstery needs. I wouldn't dream of using anyone else.